Humans vs robots: Progress or end of humanity? 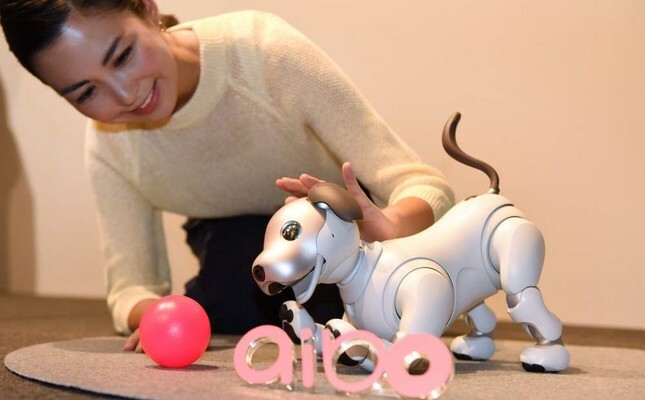 Sony’s new generation robot dog “aibo” is packed with artificial intelligence and internet capability. Almost every day, people of influence claim that machines will soon threaten the existence of humanity. According to Stephen Hawking, a well-known cosmologist, "The development of full artificial intelligence could spell the end of the human race," and Elon Musk, a renowned inventor and investor, insists, "I think human extinction will probably occur, and technology will likely play a part in this." Several questions come to mind, the biggest one being: Will hostile artificial intelligence (AI) destroy humanity? However, it is more practical to focus on questions and answers that demonstrate the effect robotics have on our current lives. In order to understand these questions and their possible answers without attaching scientific labels to the stages of industrial and technological development, I would like to offer a simple way of looking at things. There have essentially been three stages of development up to now. The first, putting machines - trucks, ships, winches - to work; the second, making these machines automatic, as seen in the industrial production and autopilot in planes, by designing them to follow pre-calculated and stored patterns; the third, programming these automatic machines to learn and store new patterns. Through the observatory process in stage three, robots and machines would be able to cope with unknown or unexpected situations, such as offering better service for unpredictable consumer behavior or navigating tricky traffic. Sophia, a robot which is inspired by Audrey Hepburn's features, was the first robot to receive citizenship. Stage 1 machinery led to unemployment for a significant number of workers, no question about it. However, these jobs were often either too strenuous, impossible or sometimes deadly for humans. Consider logging, transporting heavy items or mining. We should be grateful that these jobs are now primarily done by machines since these jobs often proved more dangerous than productive when performed by people. However, many more have also lost jobs thanks to stage 2 machines, a robotic trend with no end in sight. The automatization of office-related tasks, food production and services along with robotic assembly lines are some examples. Studies have shown that more than half of all jobs have either already been lost or will be lost to robots within the next 15 years. The value of human labor is decreasing because the cost of automatic machines is decreasing. This not only affects those who have lost their jobs to machines, but also those who are still working and getting paid less than their grandparents did in the 1950s and 1960s. So, should we worry that stage 3 machines, robots with intelligence, could deal an even deadlier blow to our well-being? Interestingly, neither Hawking nor Musk has yet to even bring up the topic. From their comfortable seats - since neither of them will lose their jobs to an automaton - they talk about a future in which intelligent robots will find humans completely unnecessary, leading them to dispose of us all. The significant difference between stages 2 and three robotics is the machines' learning capabilities. If we could understand how that works, we could perhaps fathom what the real, or imagined, future may bring. Due to the pre-calculated and stored patterns in their memories, stage 2 robots repeatedly perform the same action. For example, the automated machines peel and cut the carrots exactly the same way, every time. If you give the machine a smaller or larger carrot, it will be wasted. On the other hand, stage 3 machines will first have to learn how to cut different carrots during the learning phase. Some of these learning experiments are performed in a simulated environment where no actual carrot is used. Each carrot-cutting experiment is observed, and a score is assigned to its success level. The algorithmic foundations of machine learning have found that thousands of carrot-cutting experiments would finally configure the computational engine and create a pretty accurate carrot-cutting robot. However, the learning does not stop here, as the robot continues to do its work in the field, it continues to learn. Acting according to the learned patterns creates a strict form of intelligence. The computer industry has rushed to define it as the intelligence, often implying it is equal to or even better than human intelligence. Certain examples have been exaggerated, for example, a chess program running on a supercomputer named Deep Blue defeated Garry Kasparov. There is too much commercialism here, and the essence is lost in the dust. There is absolutely no doubt that learning machines will make a big difference. For example, it will make safe self-driving cars a reality. This technology will soon be applied to flying machines too, starting with small delivery drones. We, as the theoreticians, have not yet fully understood the capabilities of machines that can learn. Though this is perfectly clear: A machine that has learned, stored and used patterns to make decisions is just another form of a programmed machine. We have absolutely no clue how a machine can act independently, either to start learning a completely new set of patterns on its own or choosing to jump in the pattern space from one corner to another. The learning process, on the other hand, may be highly detrimental to the health of the machine. The machine may breakdown several times before it can be an effective enemy to humans. A set of AI robots taking over humanity is far-fetched. Evolution provided a spectacular opportunity for biological creatures, but this took an extraordinarily long time, several billion years and several extinctions. However, AI robots are already taking our jobs, particularly those requiring simple cognitive and mechanical skills. This trend continues because engineers know how to make them, and because the captains of the industry worship efficiency and profit.